This is another shot from my test roll through a Yashica T4 which turns out to have a wonky shutter. Beautiful! You had a great sky to work with and you (and the camera) did it justice. The subtlety of the colors and the light on the drain – just perfect. Thanks so much Lynn. 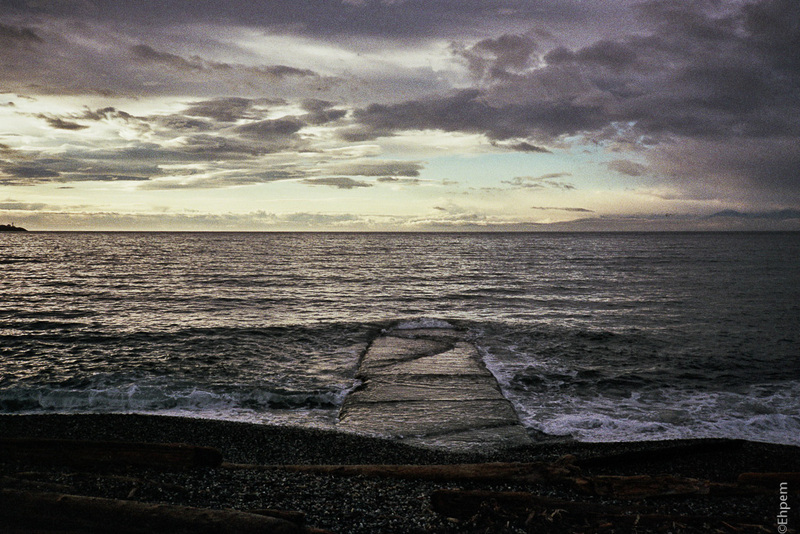 Great skies are actually quite common across the Strait of Juan de Fuca which is one of the things that makes the storm drain such a great repeat subject. That makes sense, all that space and the winds pushing weather systems through. Yes – and often at the intersection of two systems making for even more interesting skies.